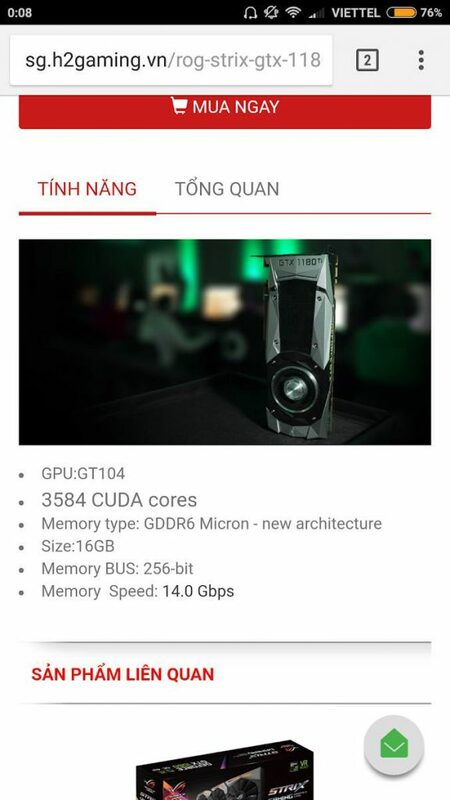 NVIDIA GeForce GTX 1180 From ASUS Leaked By Vietnamese Store; Launches September 28? 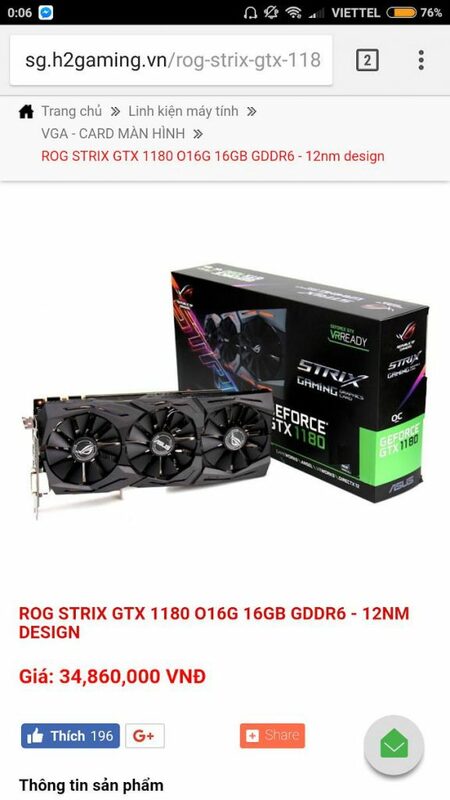 A Vietnamese store known as H2 Extreme Gaming (via Dsogaming) slipped up and showed the world the ASUS ROG STRIX 1180, a third party variant of the upcoming NVIDIA GeForce GTX 1180. All for a late September release. If all is taken at face value anyways. The next generation graphics card is suggested by the now removed page (screen captures below) to release on September 28 for a rather princely equivalent of $1530, which is stunningly nearly double what the current top end GTX 1080Ti runs for. It carries the GT 104 Chip, 3584 CUDA cores, 16GB of GDDR6 Micron Video Memory, 256-bit memory bus and 14.0 Gbps. 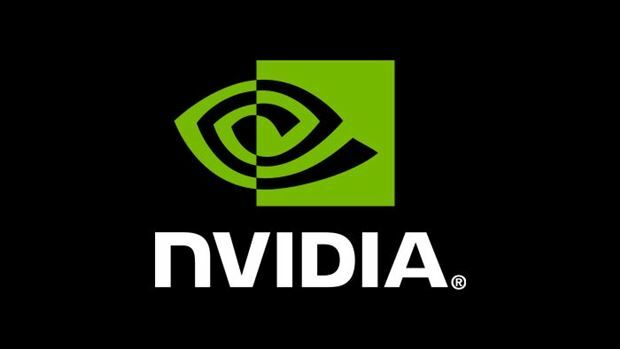 NVIDIA are definitely planning their GeForce GTX 11 series to launch sometime in Late August/Early September, which this would fall in line with, however the price is the suspect part, which means this could all be a placeholder or totally fake. We’ll have to wait and see I suppose, what the next generation of PC GPU has in store.